Monoclonal antibodies are produced by genetically engineered mammalian cells, which belong to the same clone and produce identical IgG molecules extracellularly into the cell culture medium. These designed IgG molecules recognize the same structural element, for example a protein involved in a disease process, and can thereby impact the disease progression. As mAbs are homogenous, produced by the same clone, they can be used for very targeted therapies. mAbs bind specifically to one antigen, one molecular site, or one cell type. Their therapeutic specificity makes them ideally suited in helping to minimize adverse side effects by highly targeted therapeutic administration, especially when very toxic drug substances must be delivered. The global pharma biotech market for prescription medicinal brands was over $1 trillion dollar in 2017. Biologics accounted for $220 billion and mAbs for $95 billion. Today, mAbs are primarily used for treatment of autoimmune disease and cancer as well as for infectious diseases. mAb therapy often requires high and repeated doses. A patient will usually receive prolonged mAb therapy, with concomitant extended exposure to impurities, which can lead to side reactions. Consequently, purity is of utmost importance to prevent adverse effects. In the production of mAbs, a pure protein will not be enough; you have to achieve an ultra pure protein, where the level of impurities is almost undetectable. In the whole process of protein expression and purification, host cell proteins, HCPs, are the biggest worry. After receiving injections over a long period of time, a patient may develop an immune reaction to HCPs. HCPs are not a single substance but a group of different proteins specific to the strain of mammalian cells used for the production of mAbs. Regulatory bodies, such as the Food and Drug Administration, FDA, or the European Medical Agency, EMA, have not specified a certain acceptable level of HCPs for mAbs. It is up to each developer to develop processes and documentation that can prove that their product is safe. DNA from the host cell is less of an issue in the process of protein expression and purification. So far, DNA impurities have not led to any adverse effects in patients. However, there is a theoretical risk that foreign DNA from the host cell could pass through human cell membranes and reprogram the way the cells work. The World Health Organization guidelines recommend no more than 100ng of residual DNA in the final dose. Developing a pure protein has a lot to do with process control. As mAbs are produced in batches, natural variability of the material, as well as variations in operations and other disturbances, can cause batch-to-batch variability. Traditional product-release quality controls, QCs, are based on tests of the final products, when it is too late to understand and repair batch-to-batch variations. According to the European Medicines Agency’s guideline covering “Production and Quality Control of Monoclonal Antibodies,” “the mAb should be characterized thoroughly.” “This characterization should include the determination of physicochemical and immunochemical properties, biological activity, purity, impurities, and quantity of the mAb, in line with the ICH Q6B guideline”. In-process control uses analytical instruments to measure Critical Process Parameters, CPPs, during manufacturing. By including in-process analyses, you can assure higher quality than final product QC tests alone, as the process can be adjusted at an early stage, if needed, and batch failures can be avoided. In-process control also complies with the FDA guidelines regarding the implementation of Process Analytical Technology, PAT. The purpose of PAT is to motivate pharmaceutical companies to improve their production processes by identifying CPPs and measure how they affect the Critical Quality Attributes, CQAs, of the product. CQAs are necessary attributes of the final product, for example, immunochemical properties, molecular weight or the level of purity of the mAb in question, the focus of this article. Physical characterization is used to assess the CQAs of biopharmaceutical products and is supported by functional data in determining structure-function relationships. These data can then be used to define the impact of physical parameters on activity of the product and are essential for product development as well as regulatory acceptance. Analysis of multiple product batches is also required to demonstrate that the manufacturer has control over the manufacturing process. A number of batches of product are analyzed and compared and significant differences investigated and assessed for impact on the function of the product. This comparison also centers around the CQAs. Besides using new technology for process control, another important methodology for achieving the required and appropriate purity of your mAb is through Quality by Design, QbD. Quality by Design (QbD) is a science- and risk-based approach, outlined in the International Conference on Harmonization (ICH) Q8(R2), Q9, and Q10, Q11 and soon Q12. These guidelines provide the foundation for implementing QbD during specific stages of product development. QbD can be applied to those specific process steps that affect mAB purity just as to other steps in the manufacture of a mAb therapeutic. The essential element is an understanding of how purity parameters are linked to patient safety and drug efficacy. 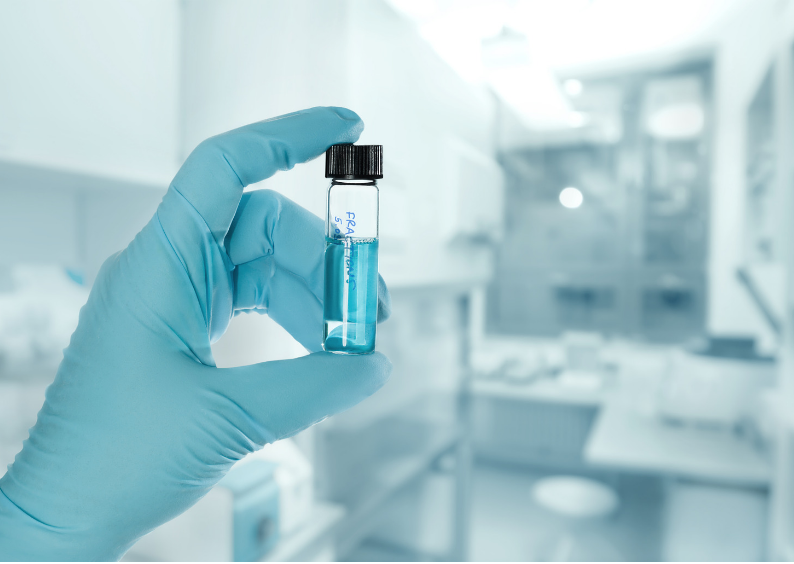 The 'quality by design' approach is expected to transform the manufacture of biologics. With QbD, quality is built into the product by means of process understanding and product knowledge. It requires a scientific understanding during the entire process development and a high and constant awareness of risks. A critical component of QbD is understanding the functional relationships between patient needs, product quality attributes that are linked to safety and efficacy, analytical capabilities, and the manufacturing process. QbD begins with identification of product requirements that will meet patient needs followed by determination of the quality target product profile (QTPP) and the CQAs required to meet those needs. The substance, the manufacturing process, and quality control strategy are then designed to ensure the desired product quality, for example purity, is consistently met. The knowledge continuously gained during development and manufacturing, process development, scale-up and manufacture, as well as through patient exposure to the product, is expected to facilitate innovation and continuous improvement. The QbD approach was introduced into the US Food and Drug Administration's chemistry, manufacturing, and controls (CMC) review process in 20045 in order to develop robust, well-understood processes that 1) deliver a product that meets the QTPP and 2) are controlled by defined steps that allow for changes within an established “design space” without negatively affecting process attributes or CQAs. Using QbD, the impact of materials and process parameters on product quality are well understood and sources of variability are well-known and controlled. 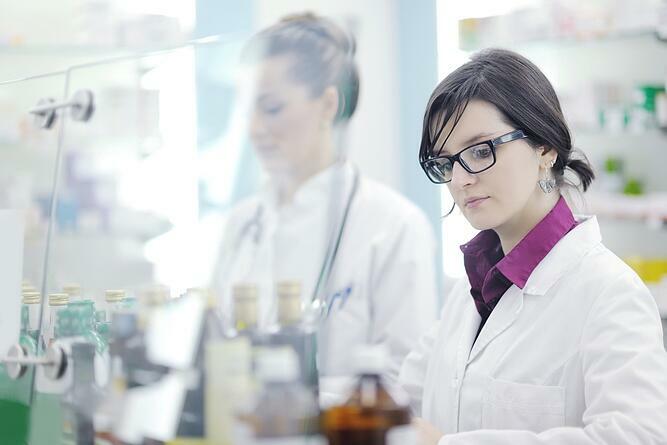 In contrast, traditional pharmaceutical manufacturing has relied heavily on end-product testing and typically lacks the flexibility needed to respond to unexpected variation. The outcome is often a rigid operation that is susceptible to changes that require continuous updating of the application. QbD is a concept that can be used in any industry and also provides a systematic way of developing a product where everyone involved has a clear view of the targets and goals of the project. With QbD, quality is built into the product by means of process understanding and product knowledge. It requires a scientific understanding during the whole process development and a high and constant awareness of risks. mAb therapies are used in high doses for extended periods of time. As impurities accumulate over time in a patient and could lead to immune or side reactions, mAb therapies have very stringent purity requirements. New technologies offer dynamic process adaptation, throughout the production process, reducing reliance on final QC tests and costs associated with late recognition of batch failures. QbD is a strategic approach, which could be used to ensure a high product quality and the desired level of purity. Protein purity is correlated with patient safety and drug efficacy, manufacturing parameters are well understood and sources of variability are identified and controlled. Tracy TreDenick, Aug 2018, Pharmaceutical Manufacturing, The Evolution of Therapeutic Monoclonal Antibodies. EMA, Guideline on Development, Production, Characterization and Specifications for Monoclonal Antibodies and Related Products, EMEA/CHMP/BWP/157653/2007 (December 2008). ICH, ICH Topic Q6B Specifications: Test Procedures and Acceptance Criteria for Biotechnological/Biological Products, Step 5 version (September 1999). US FDA. Guidance for industry: PAT—A framework for innovative pharmaceutical development, manufacturing, and quality assurance. 2004 Sept.